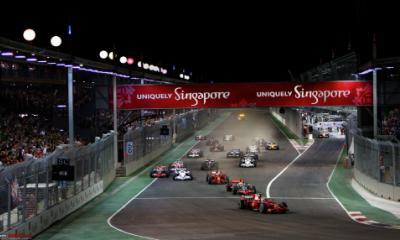 Hosted in what many consider the Monte Carlo of the Far East, the Singapore Grand Prix is ‘THE HOME OF THE NIGHT RACE’. We are proud to offer the very best in price, choice of accommodation, ticket selection and personalized travel arrangements. The Bay Grandstand is one of the circuit’s largest, in a fantastic setting overlooking the waters of Marina Bay and the skyscrapers beyond. You will also enjoy a rare spectacle in the world of Formula 1, as the cars race under the grandstand itself, directly below you. From the Bay Grandstand you will see the cars accelerate out of Turn 17, brushing the barriers on exit, before braking hard to turn left and race beneath this Grandstand. The Esplanade Waterfront Grandstand enjoys a view of one of the circuit’s most exciting sections, as well as a delightful setting next to the waters of Marina Bay. 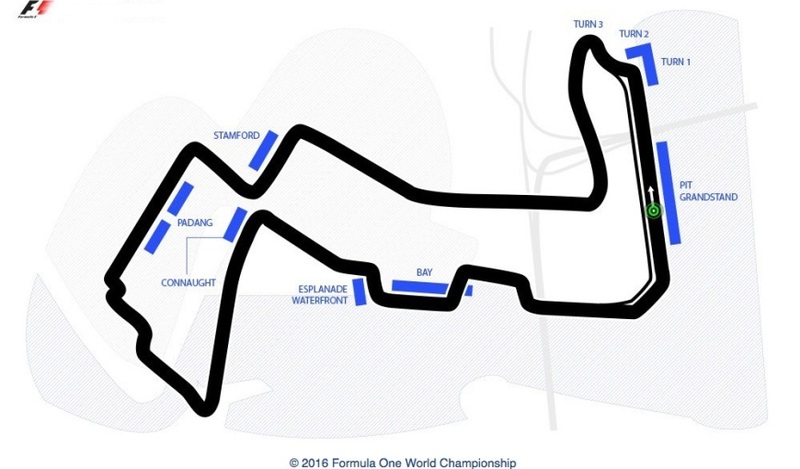 You will see the cars exiting Turn 16 at the end of Raffles Avenue, before sweeping through Turn 17 at an amazing 80 mph, brushing the barriers on exit. You will then see them accelerate away, before braking hard to race under the Bay Grandstand, a truly unique sight in the world of Formula 1. The Connaught Grandstand overlooks the extremely heavy braking zone at Turn 14, as the cars come off the Esplanade bridge at 185 mph, before taking this steep right-hander at just 50 mph. This is one of the circuit’s main overtaking spots, so you will be well placed to see some of the most exciting and crucial moments of the race. Such a hard braking zone is also likely to produce accidents, and any driver missing his braking point here will find himself deep into the huge run-off areas, if he hasn’t collected another car on the way. The Turn 2 Grandstand overlooks Sheares Corner, Turn 1, looking down the barrel of the main straight. This is a steep left-hander, and one of the circuit’s main overtaking spots, so you will be at the heart of the action. You may also enjoy a great view all the way to the exit of the technical, slow left-hander at Turn 2. This is a great spot to enjoy the incredible cornering ability of a modern F1 car, as they sweep through this sector, changing direction three times in the blink of an eye. Higher seats will also enjoy a view of the main straight, so this is a good place to watch the adrenaline of the pre-race grid preparations and the dramatic race start. You will also have a clear view of the pit lane exit, making this is an excellent place to follow the evolution of pit strategies and see who comes out in front. The Pit Grandstand runs along the outside of the main straight, and is a great place to watch the adrenaline of the pre-race grid preparations, the dramatic race start, and see the winner take the chequered flag before celebrating on the podium. This is a fantastic spot for speed lovers, as you will see the cars exit the final left-hander, before blasting past you down the main straight. The cars here push 170 mph making this a truly spectacular grandstand, filled with the roar of the engines. You will also have a great overview of the pit lane and the stunning pit lane buildings, making this is an excellent place to follow the evolution of pit strategies, and to watch the skill of the pit crews.